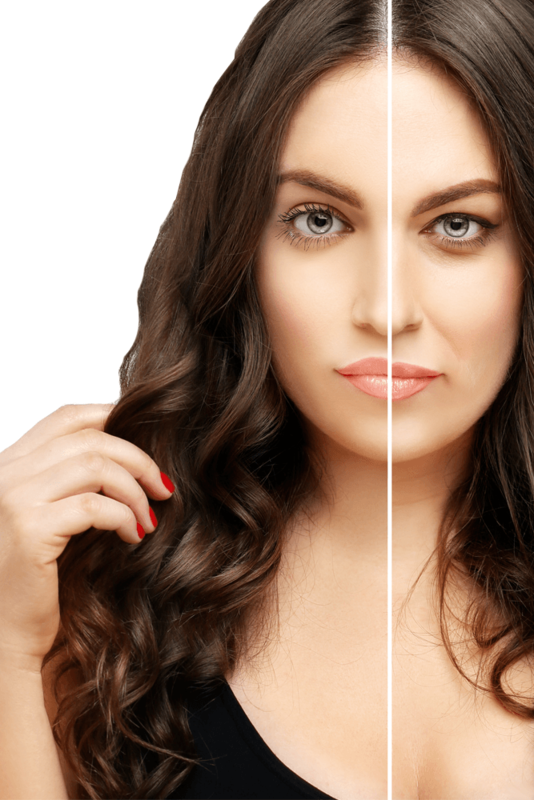 Stem Cell Facelift (Autologus Fat Transfer) in London - 111 Harley St. It is a popular misconception that stem cells only occur in embryos. In fact, they occur throughout the body, we use the ones in your own fat cells. It is possible to extract fat stem cells (progenitor cells), separate the unwanted matter and create a rich solution that can be injected into the face. As the face ages, it loses volume resulting in a hollowing of the cheeks, eyelids, and temples. This revolutionary treatment replaces this loss of volume with the body’s own fat stem cells to achieve dramatic results. Not only do they fill the face out naturally, but the procedure also encourages healthy cell development. This procedure can be performed either under local or general anaesthesia, depending on the size of the area treated. Fat transfer/injection surgery usually takes an hour, depending on the extent of work required and if you have decided to have more than one procedure done. The treatment uses a tiny needle and requires a highly skilled facial plastic surgeon with a good eye to perform the procedure. As such fine needles are used, bruising is minimised, as is the stress on nerve endings. The amount of fat put in each area is always more than needed. The reason for this is that the body will initially reabsorb about 40-50% of the fat. The rest of the fat will remain. Unlike fat grafting techniques, the fat is not washed or centrifuged. Instead, we separate the oil and blood from the fat using a technique that doesn’t damage the cells. The process of inserting the stem cells back into the skin stimulates the growth of new cells. The mixture of stem cells and growth factors also penetrates the skin’s deeper layers to help regenerate the skin. The resulting facial fullness is that to be expected in someone much younger whilst at the same time the quality of the skin is improved due to the release of growth factors and hormones from the newly injected cells. The restorative effect of fat stem cell rejuvenation will last for a number of years and for some forever. *Please note all healing times are unique to the patient and their current state of health. The above period is indicative and may not specifically apply to you.